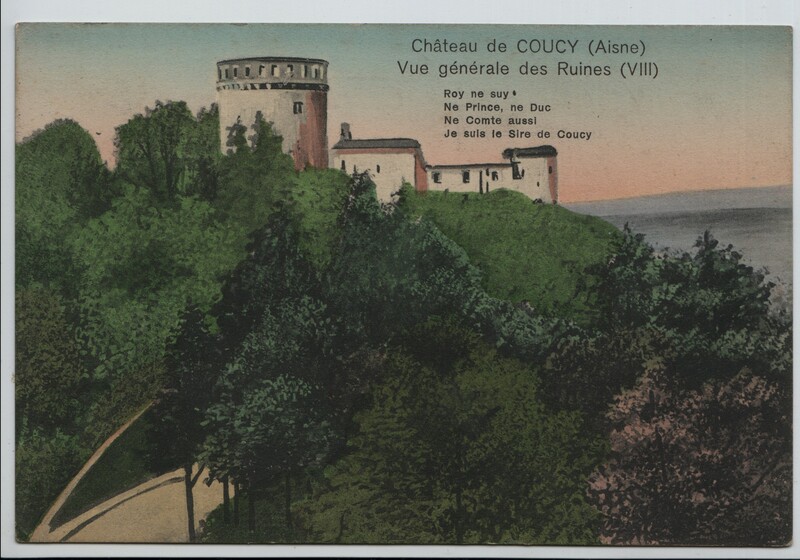 Postcard 1: The town of Coucy-le-chateau is an excellent observation post; from the top of the castle keep one can see for 40km. 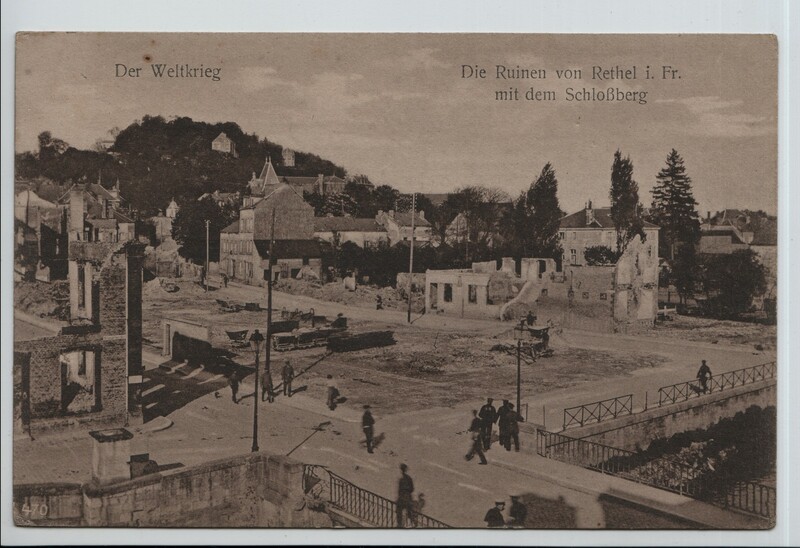 On 1st September the town fell into German hands and in the woods of the lower town near the marshalling yard the German army set up secretly a gun with a range of 25-30km with which to hit the towns used to supply the French fort. 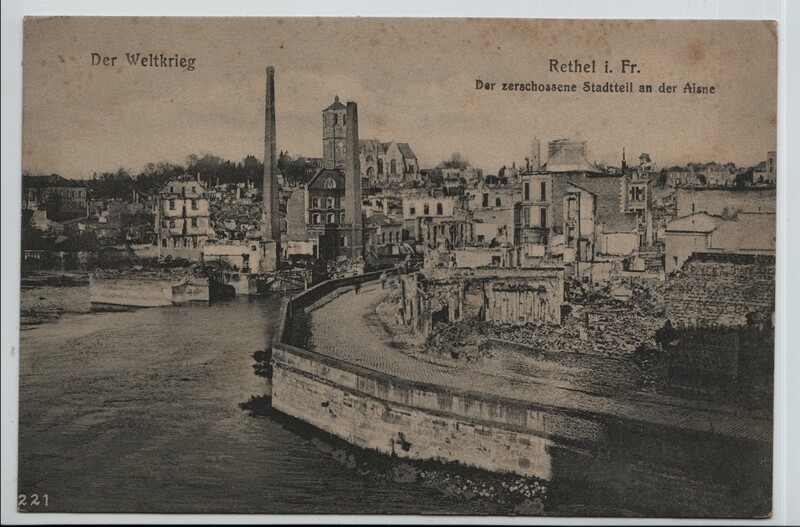 Up until 1916 the town did not suffer from attacks but later the German adopted a scorched earth policy; the inhabitants were evacuated, everything that could be of use to the French was destroyed or taken away and the castle blown up with 28 tonnes of dynamite. 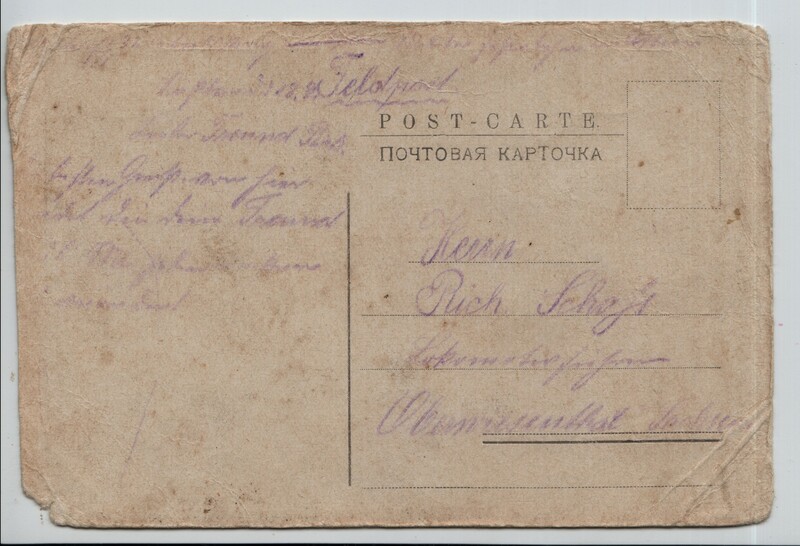 Postcard 3: It was commonly known as the Kierbedzia bridge after its designer Stanislaw Kierbedz.It was opened in 1864 and officially named after the current tsar, the Alexander bridge. 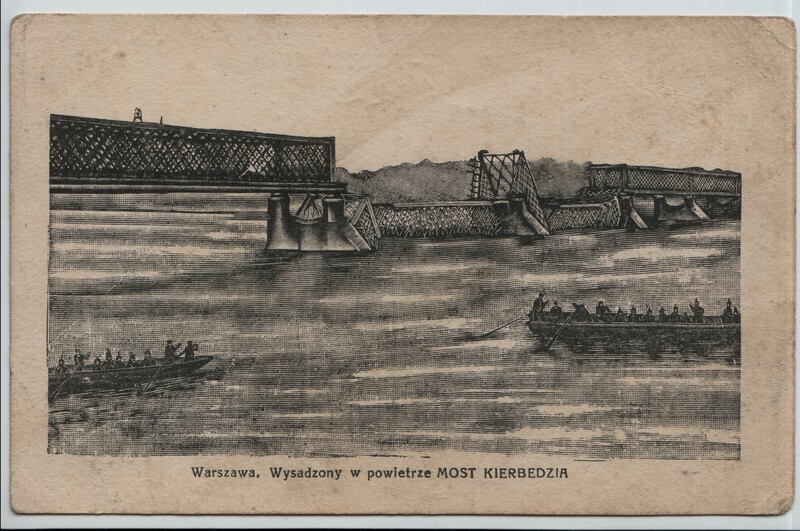 On August 15th 1915 the Russian troops withdrawing from Warsaw blew up the two middle spans without damaging the pillars. 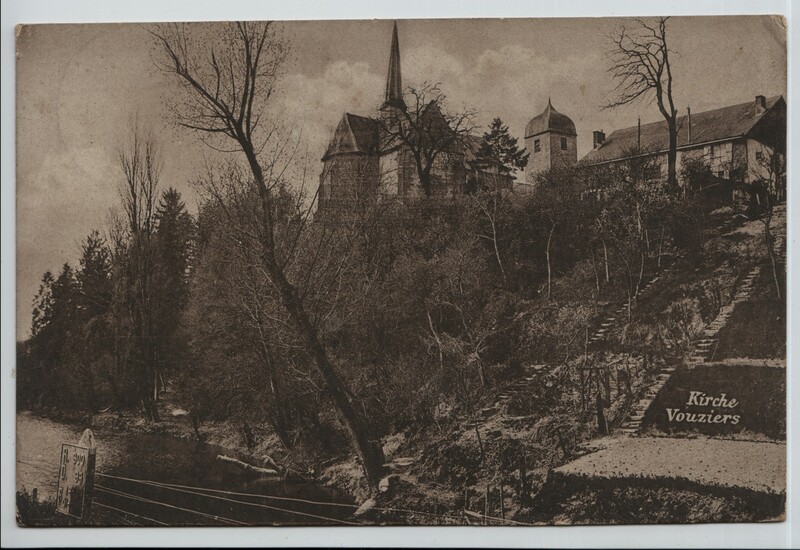 The bridge was rebuilt in 1916 but with a new design. 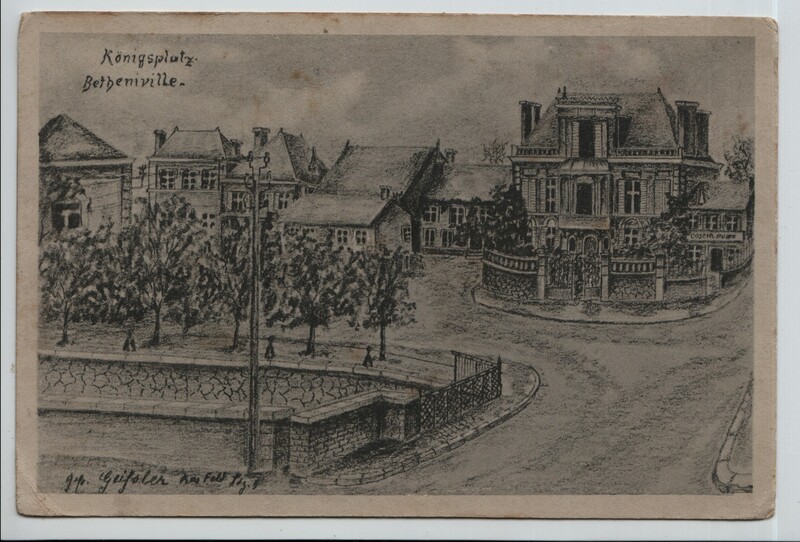 In 1944 it was destroyed again by retreating German forces. 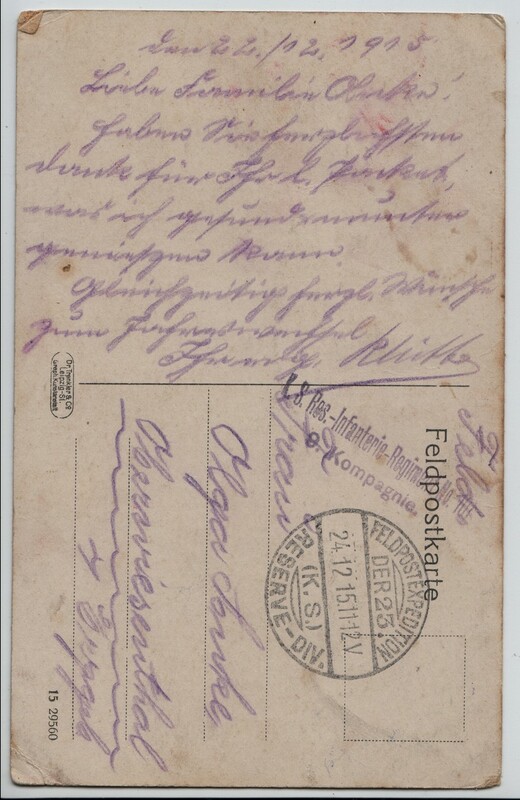 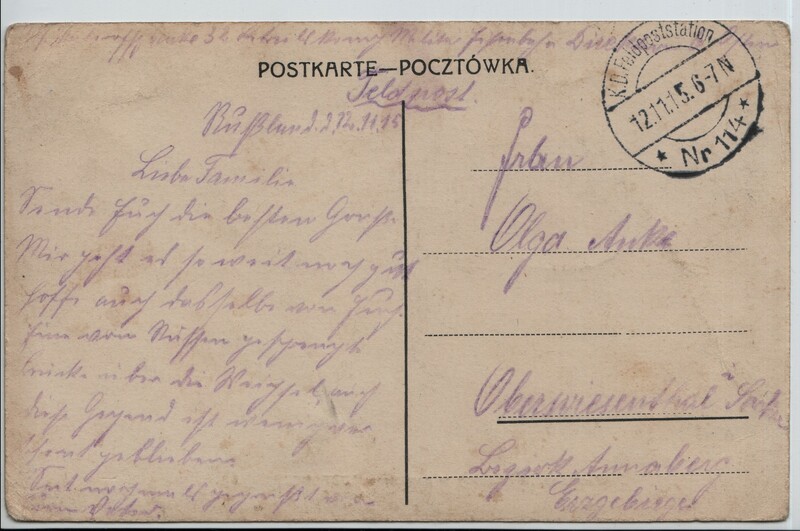 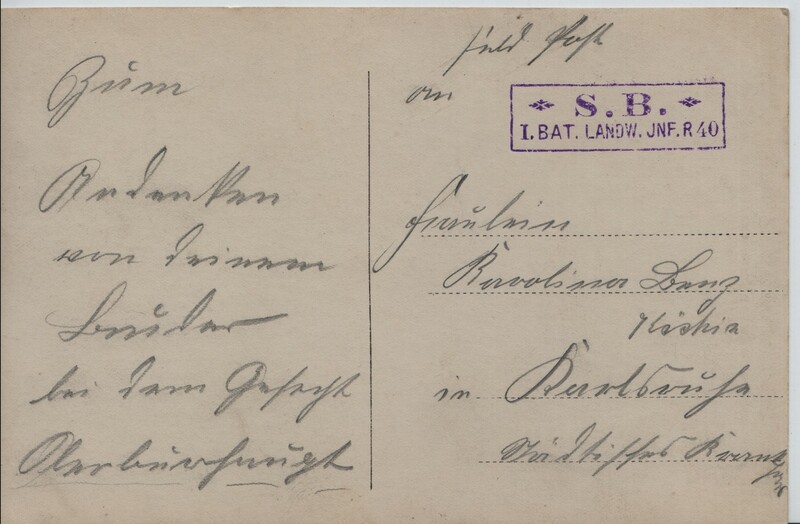 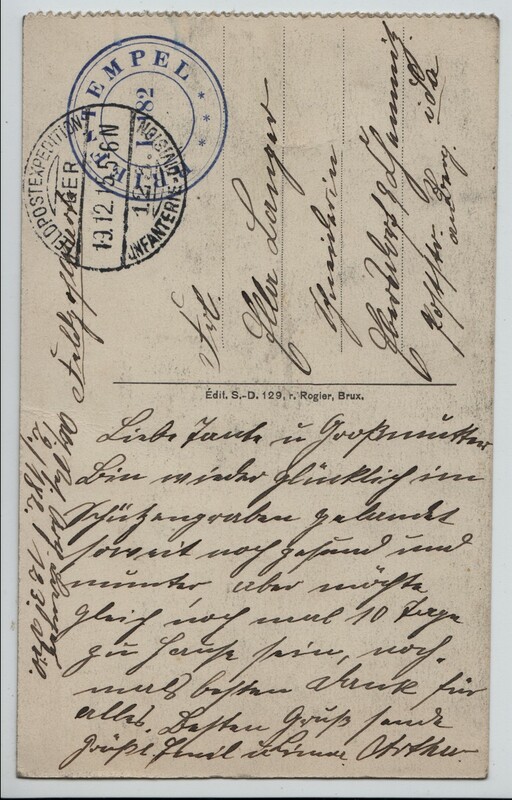 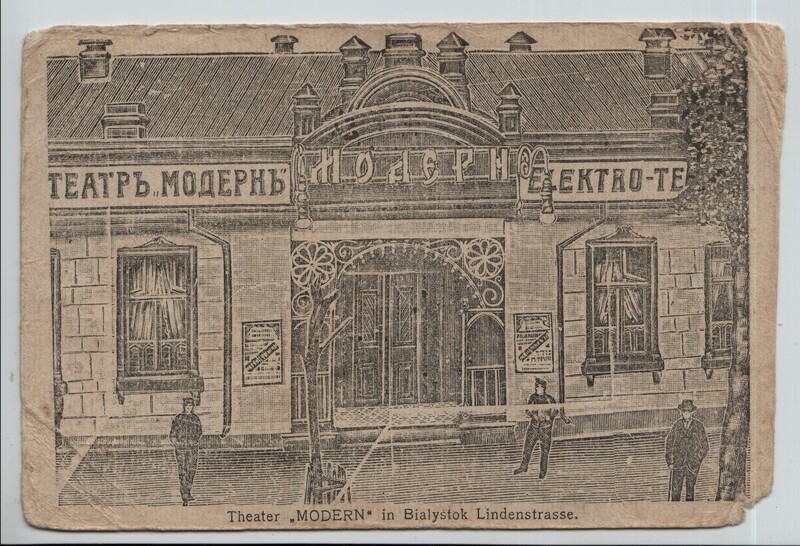 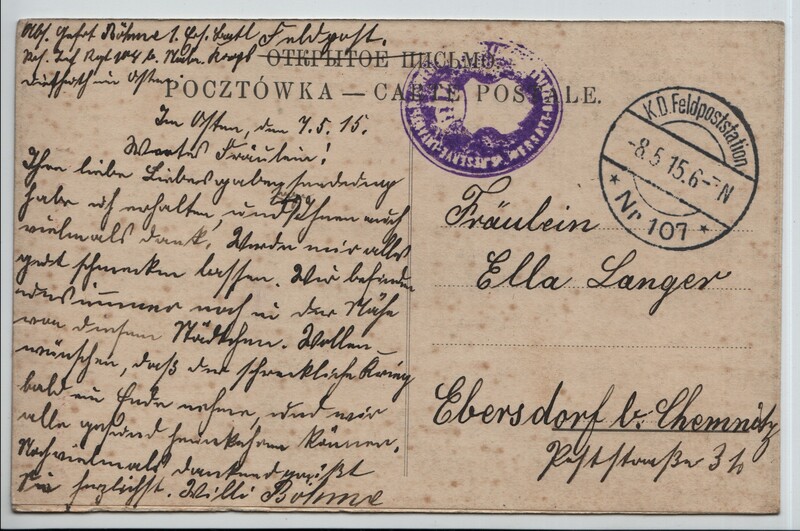 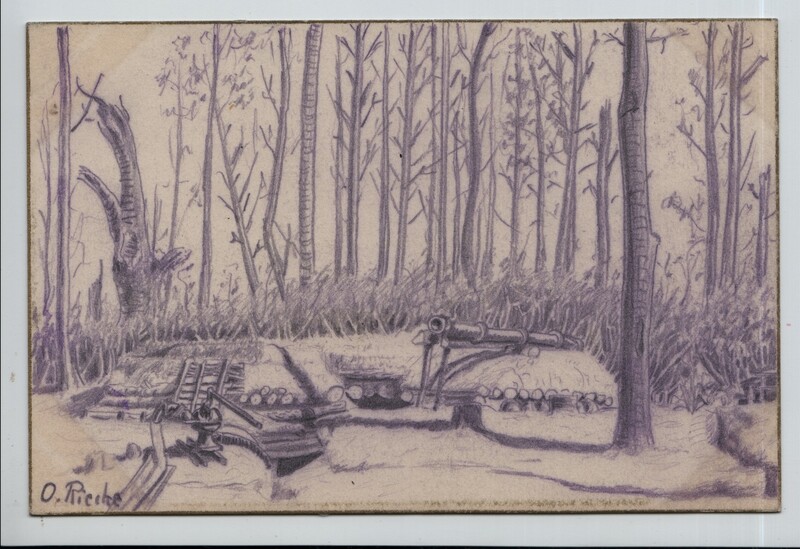 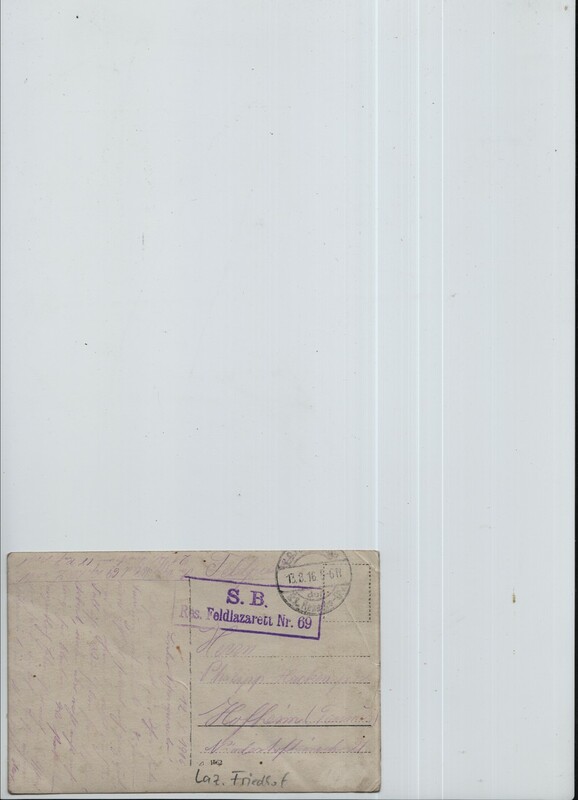 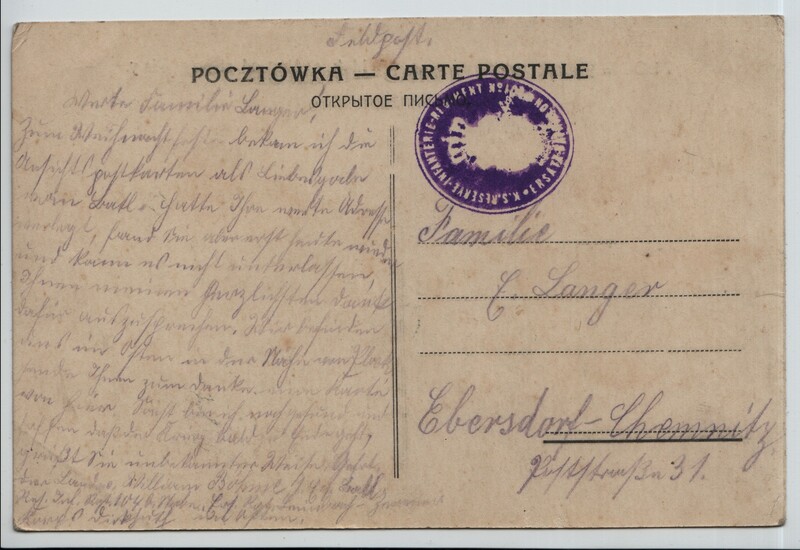 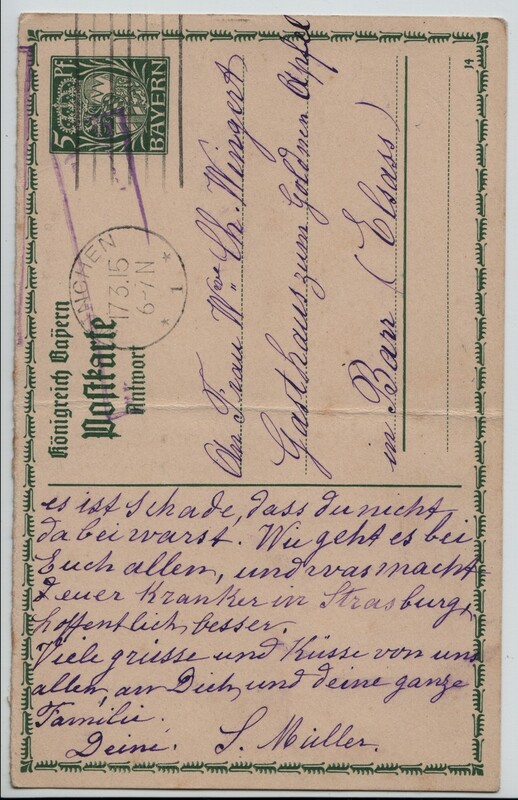 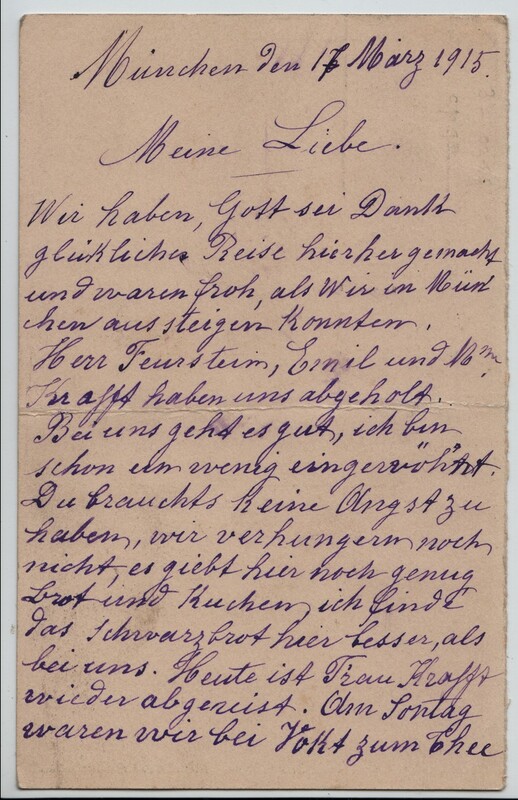 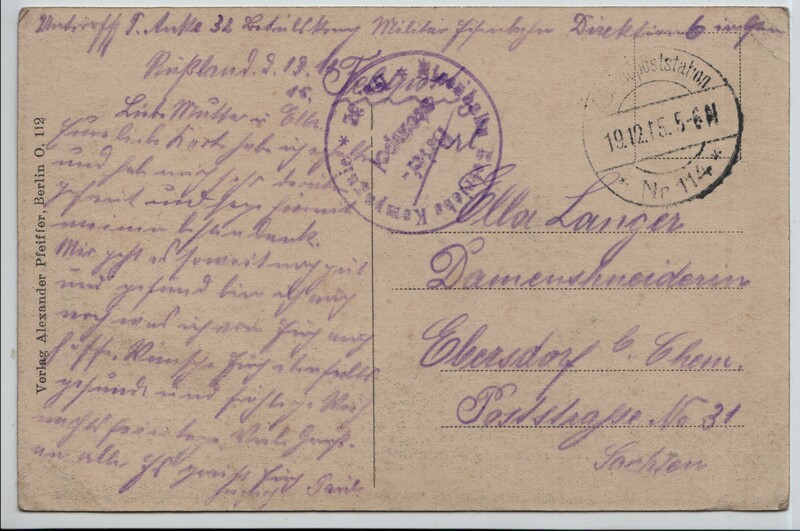 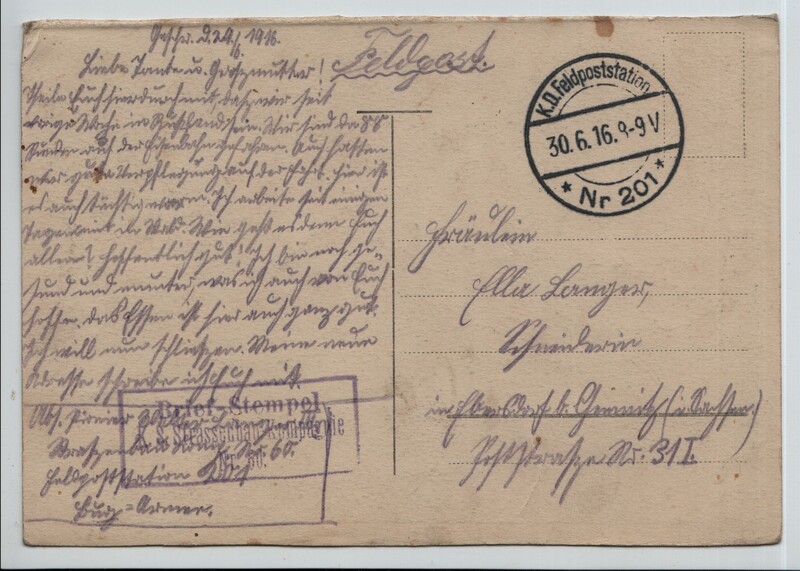 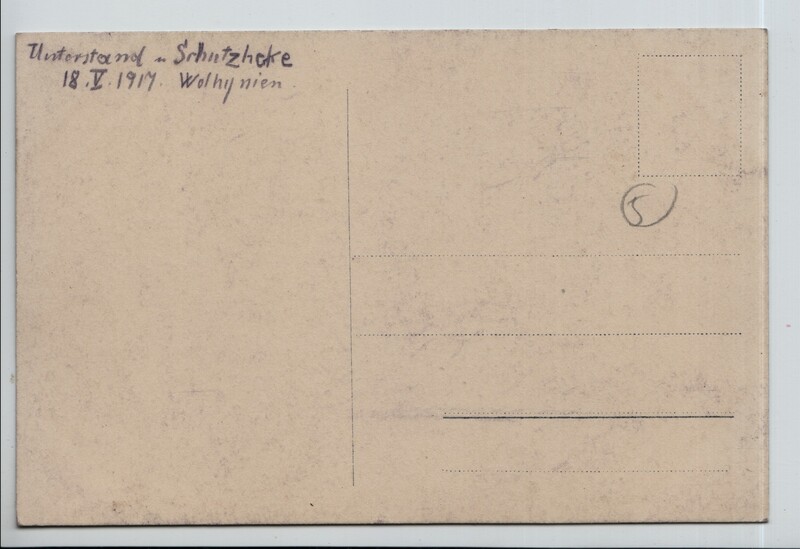 Postcard 4: The capture by the Germans of Wlodawa in August 1915 was strategically important as it lay on the Wlodawa - Brest - Litovsk railway line. 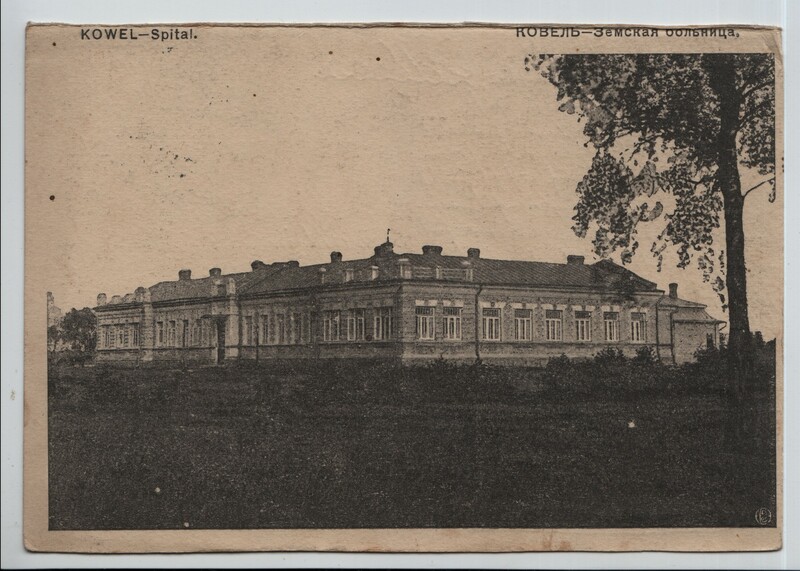 Postcard 5: The first heavy bombing of Bialystok took place in April 1915 and it was occupied in August. 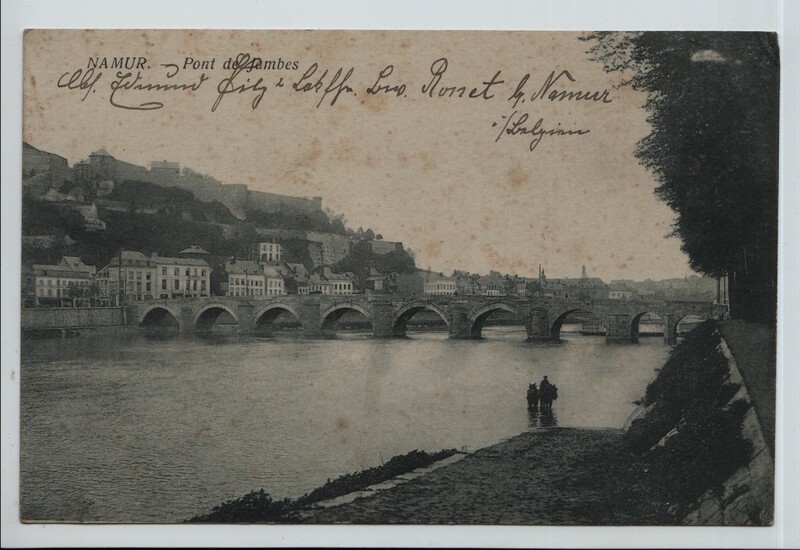 Postcard 7: Historically a strategic bridge where exchanges of prisoners took place and convicts were executed. 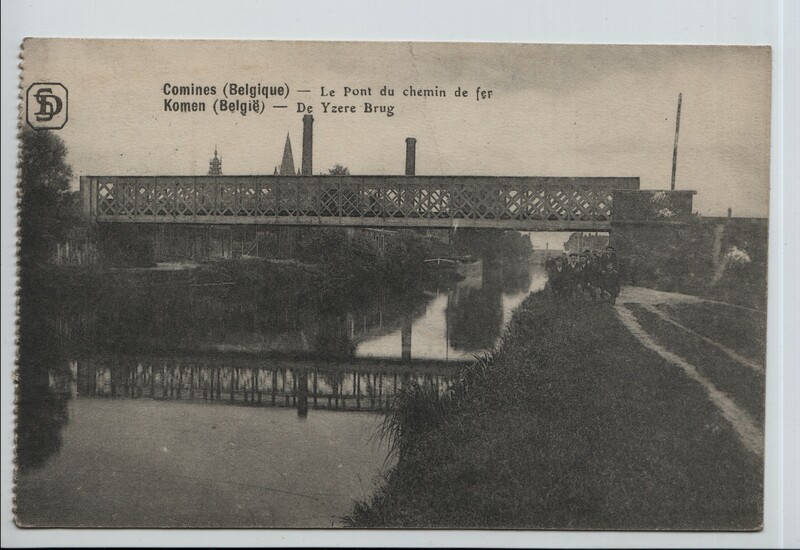 In the summer of 1914 the Belgian army blew up three arches of the bridge hoping to slow the advance of the German army. 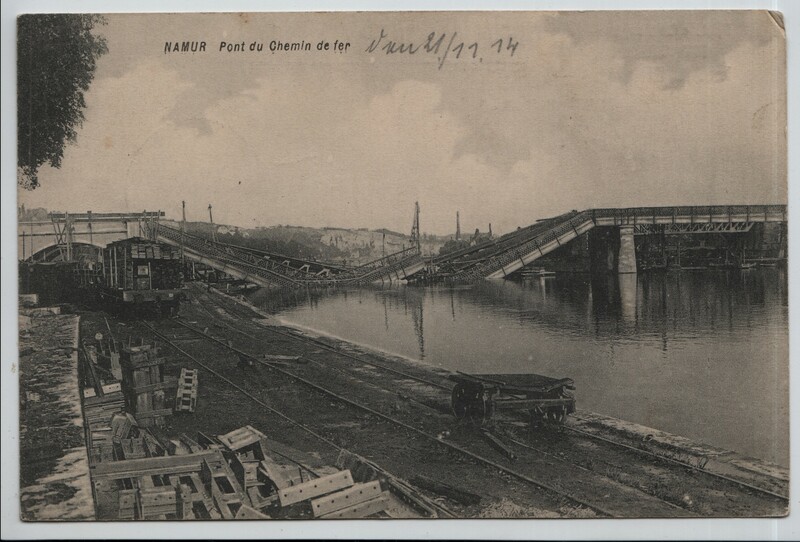 Rebuilt, the bridge was destroyed again in 1940 for similar reasons. 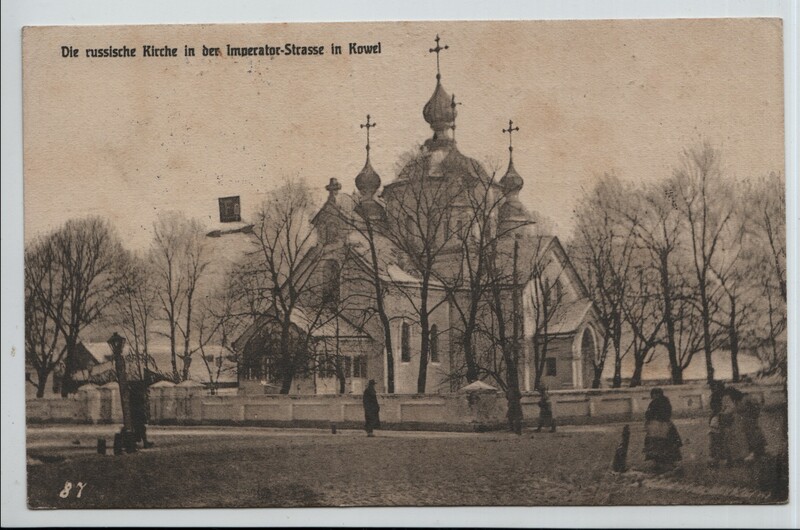 Postcard 9: Kowel was an important centre of Jewish culture and a strategic location both during the First World War and the Russian Revolution. 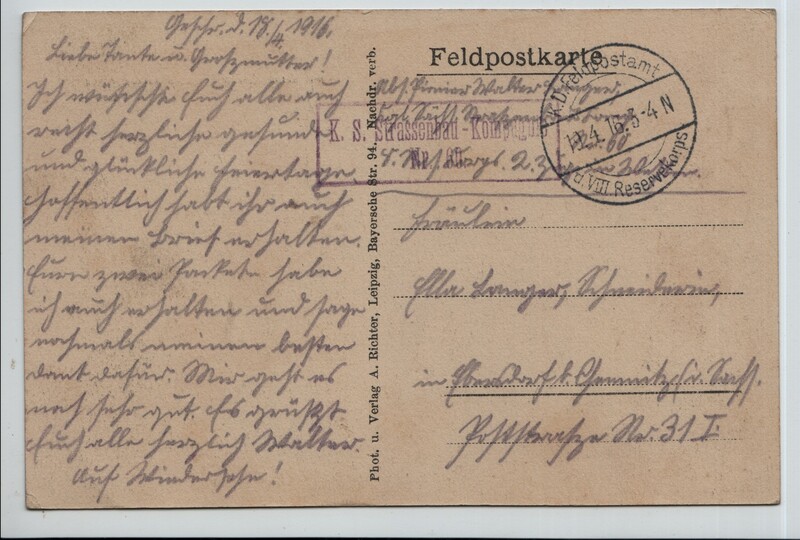 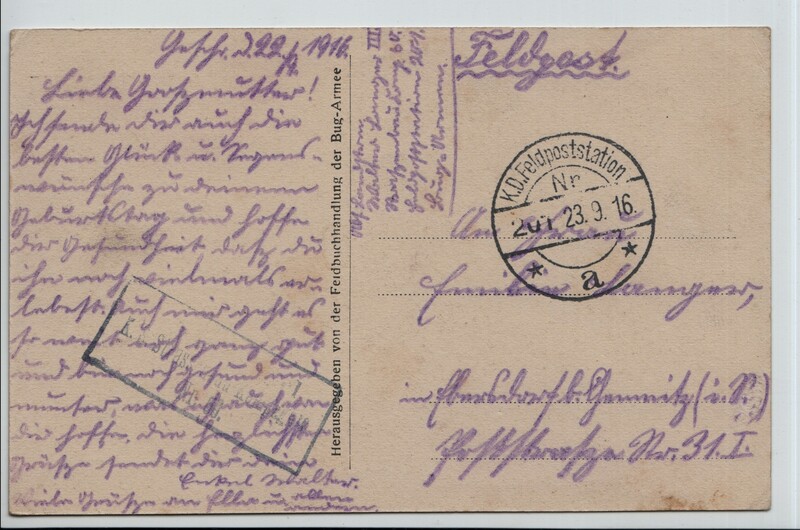 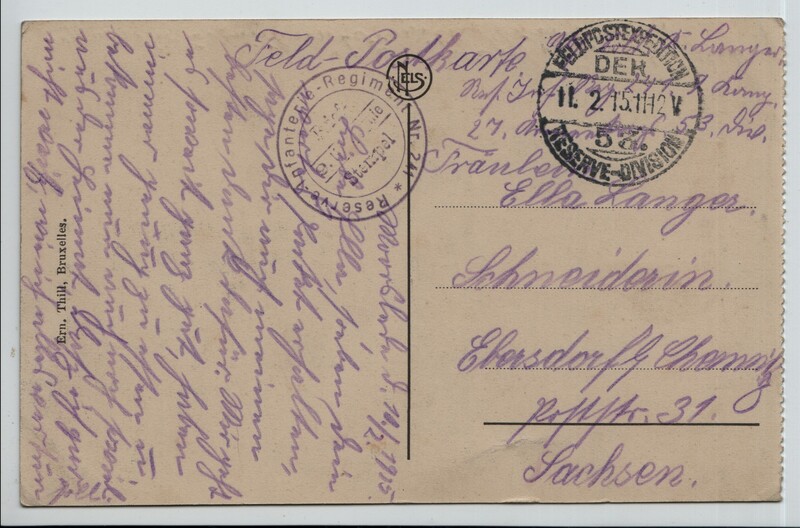 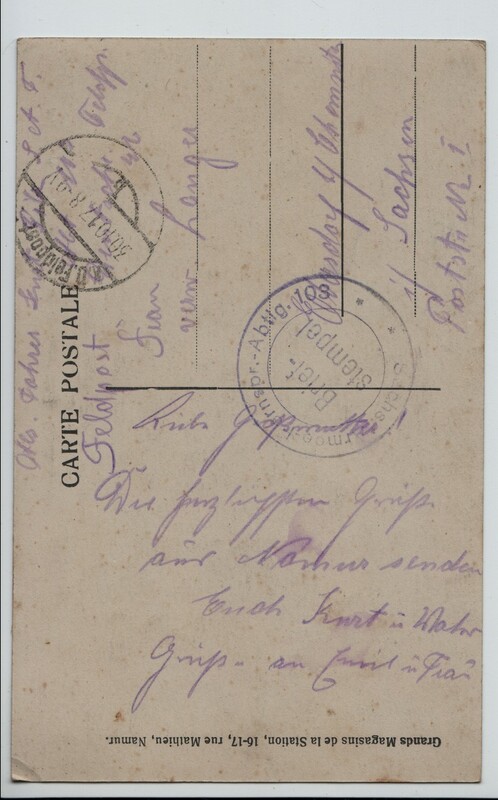 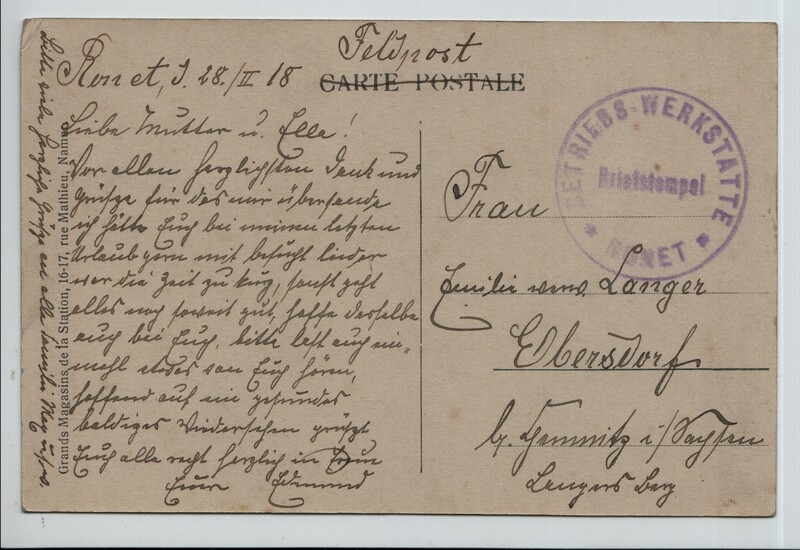 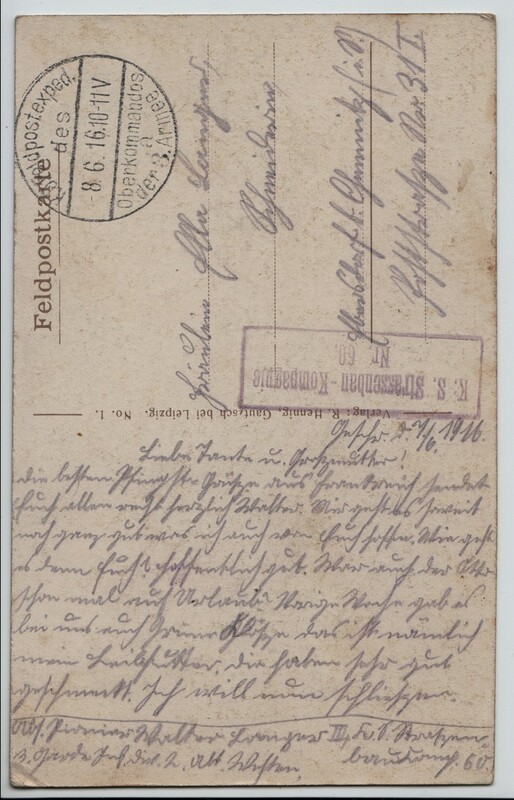 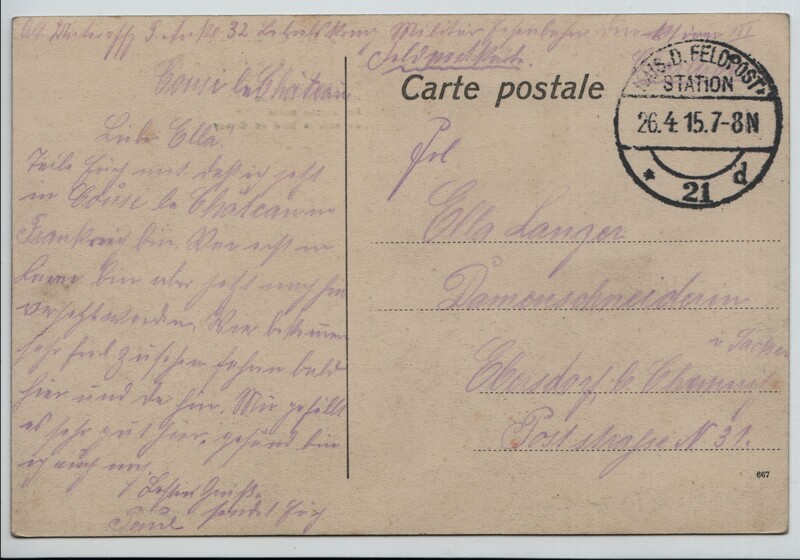 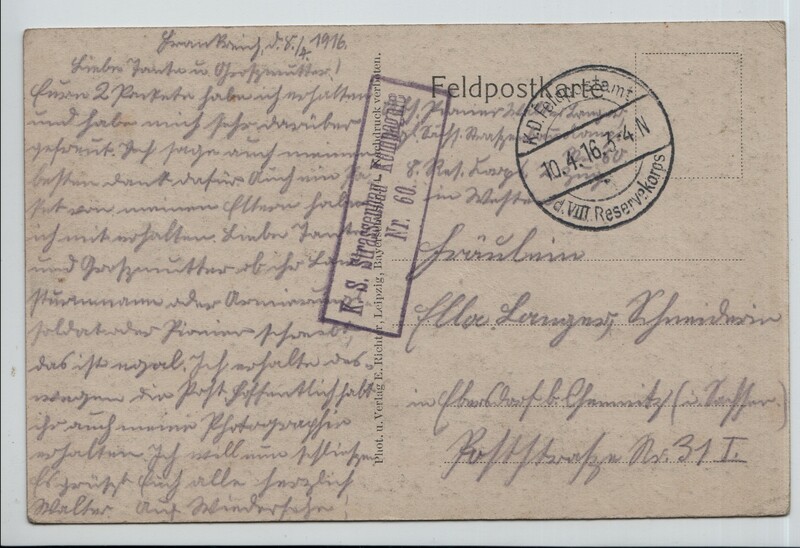 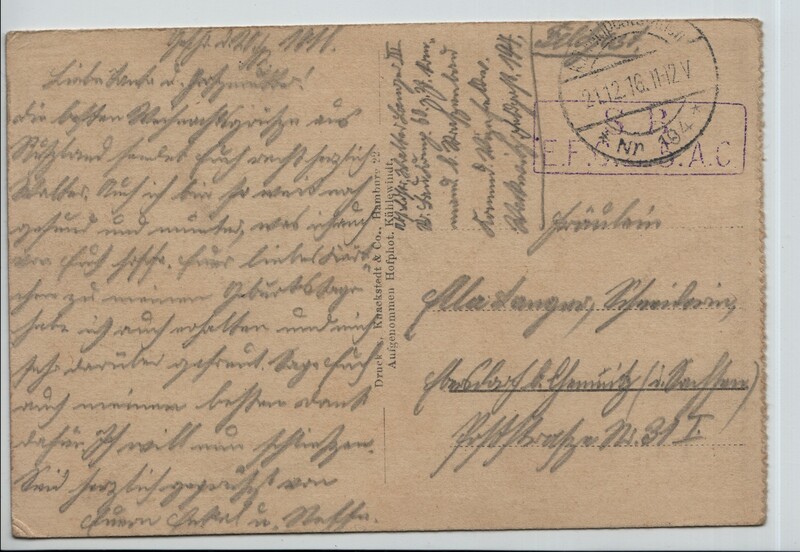 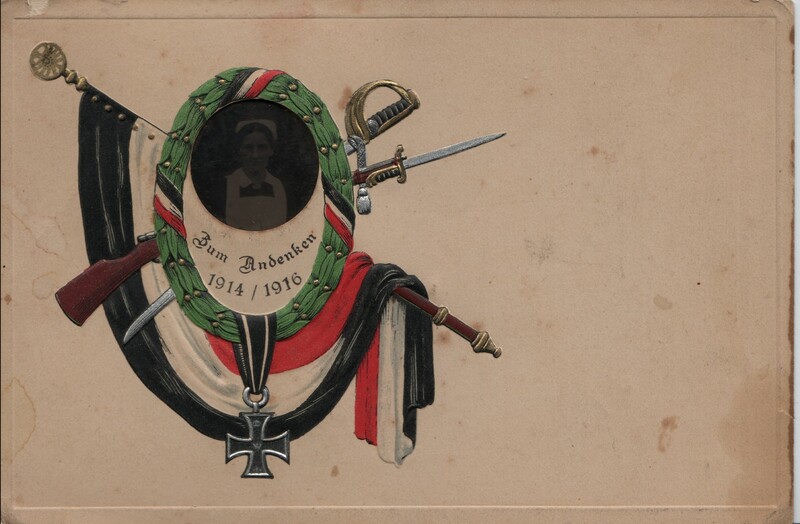 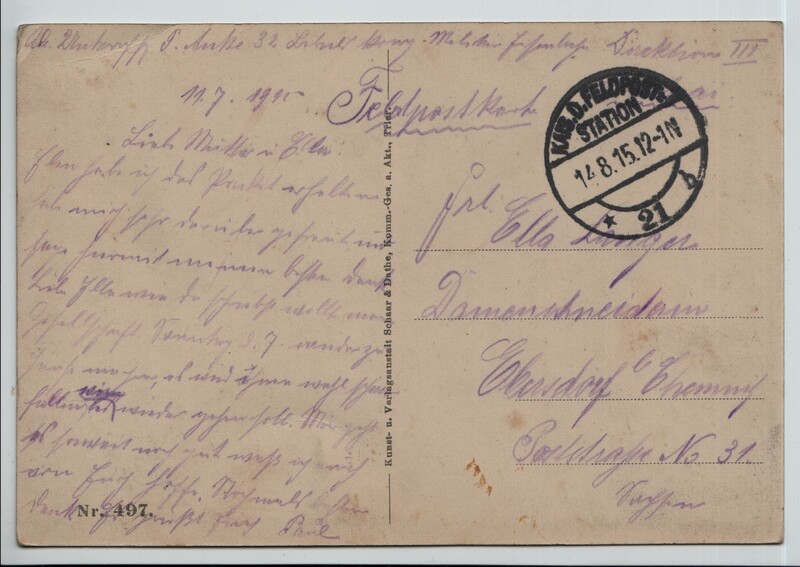 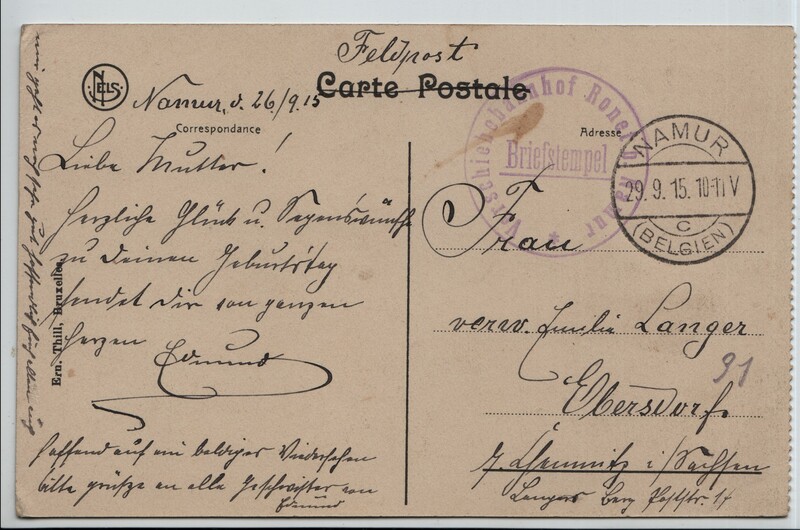 Postcard 10: On 31 August 1914, the Germans entered Rethel and started a fire. 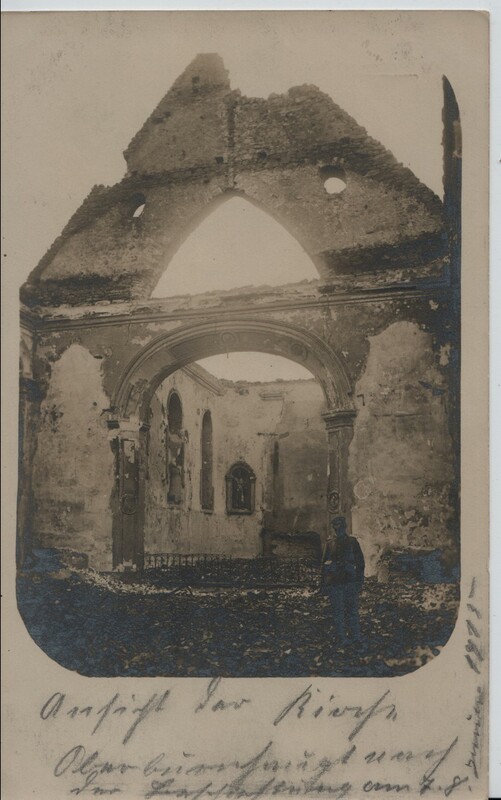 It burned for three days and destroyed over 550 buildings, 70% of the town. 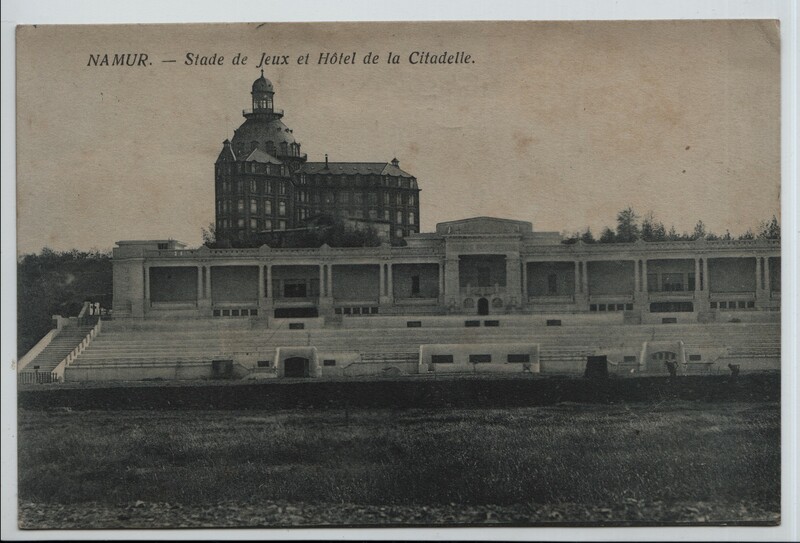 13 people lost their lives. 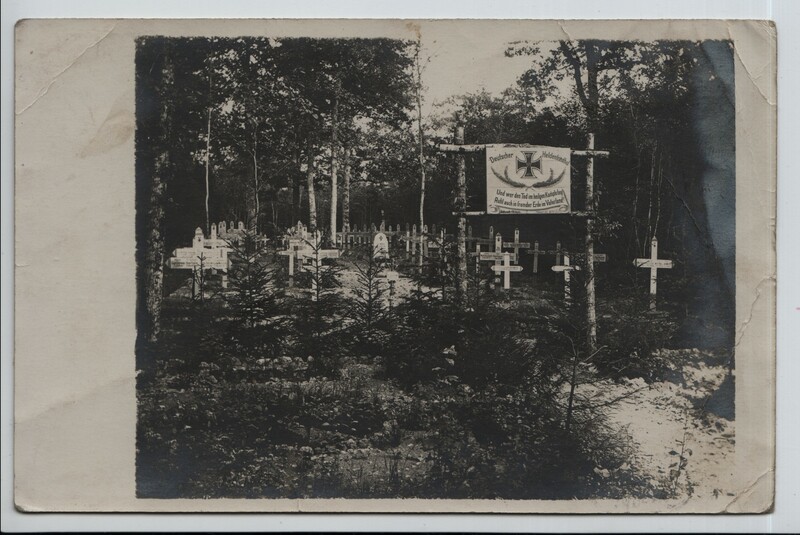 Postcard 11: Soupir churchyard was the scene of fierce fighting in September 1914 and remained close to the frontline for much of the war. 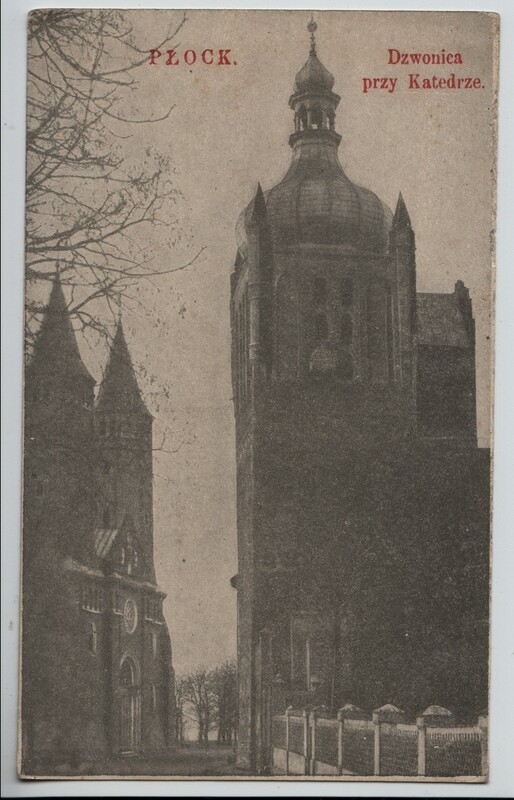 Postcard 12: Louvain was the target of German reprisals at the end of August 1914 that shocked the world. 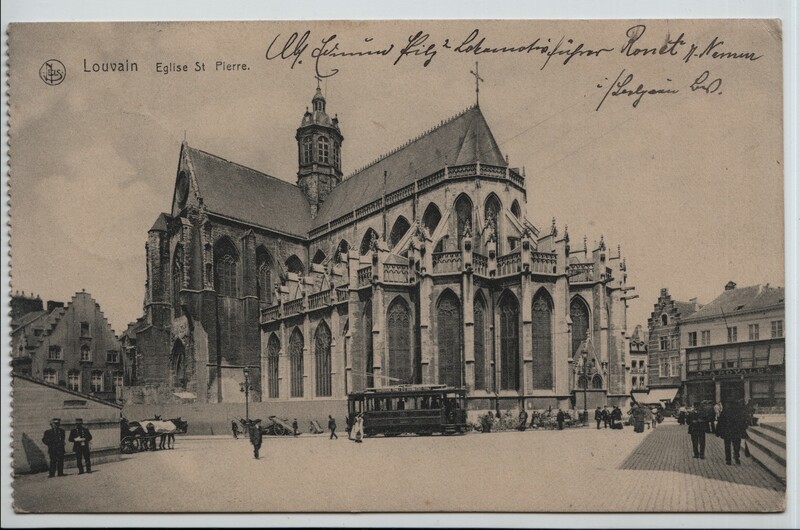 Many buildings, including the church of St Peter were deliberately damaged by fire and there were summary executions of citizens of all ages. 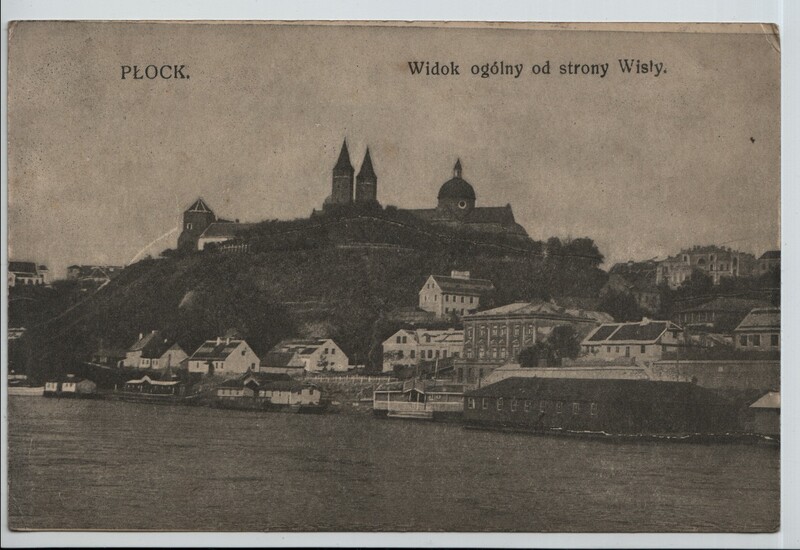 Postcard 13: The failure of the Russian army to retake the strategic city of Kowel in 1916 virtually ended the involvement of the Russians in WWI. 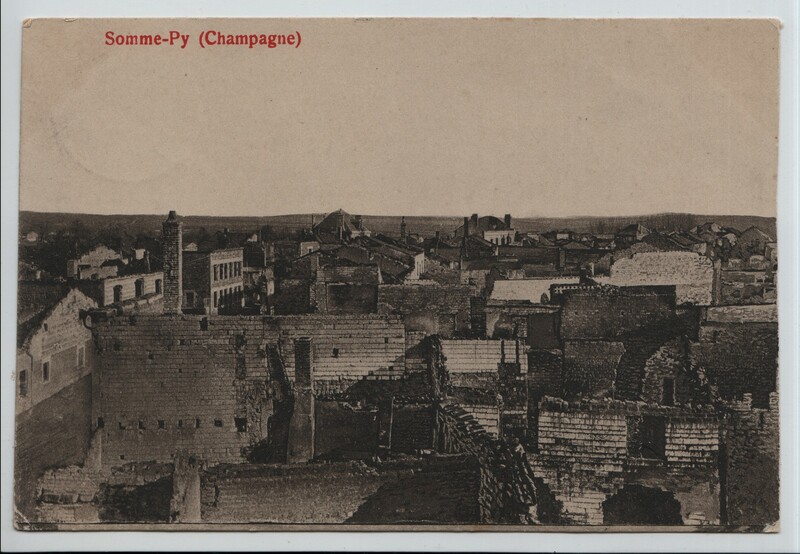 Approximately half of the city's residents were Jewish, a group who suffered particularly at the hands of the Cossack soldiers when they were accused of anti-Russian sentiments. 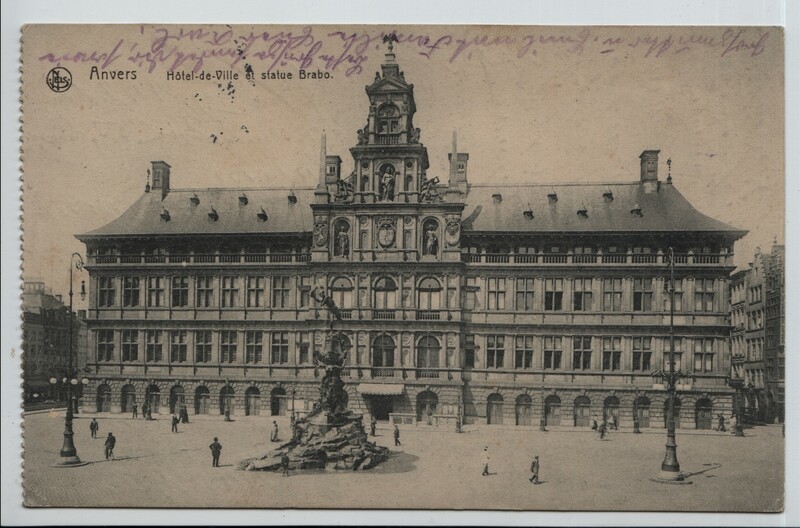 Postcard 14: Anvers (Antwerp): The seige of Antwerp in 1914 lead to the final capitulation of the Belgian army although thousands of soldiers and civilians did escape, many to Holland where they stayed for the remainder of the war. 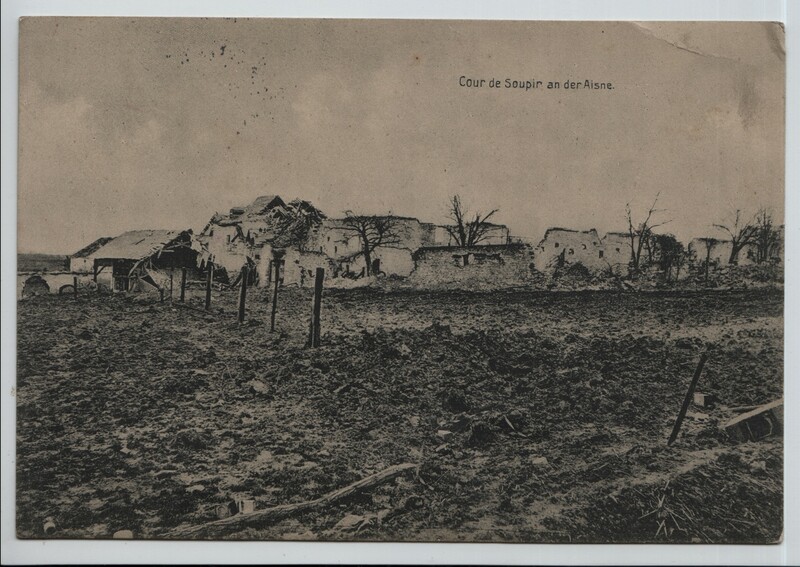 Postcard 18: Another railway blown up by the Belgian army to hinder the German advance in 1914. 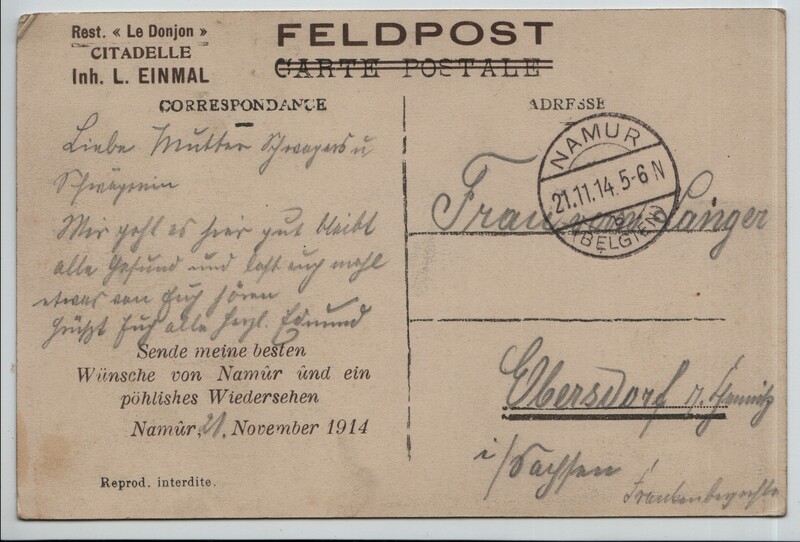 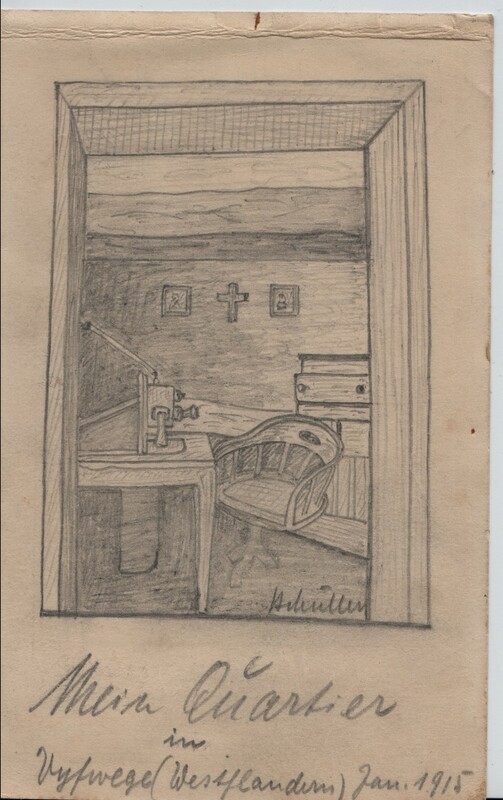 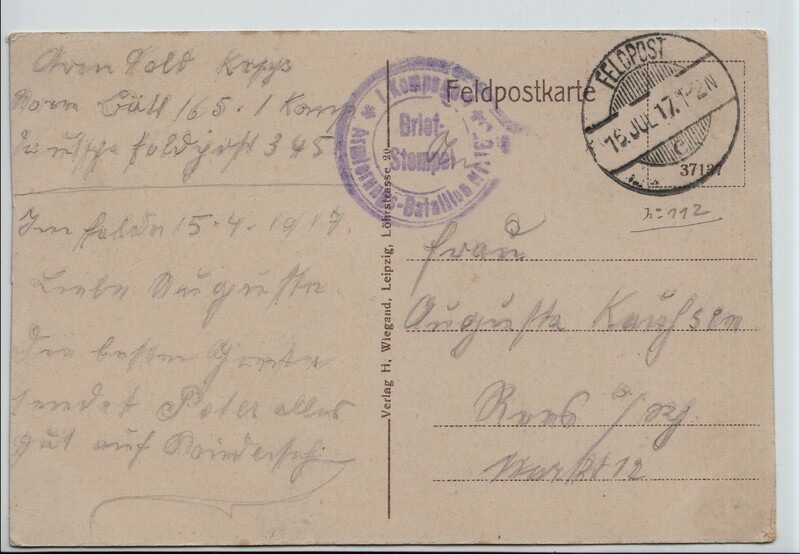 Postcard 19: A very detailed account of the events in Betheniville at the beginning of WWI can be found here. 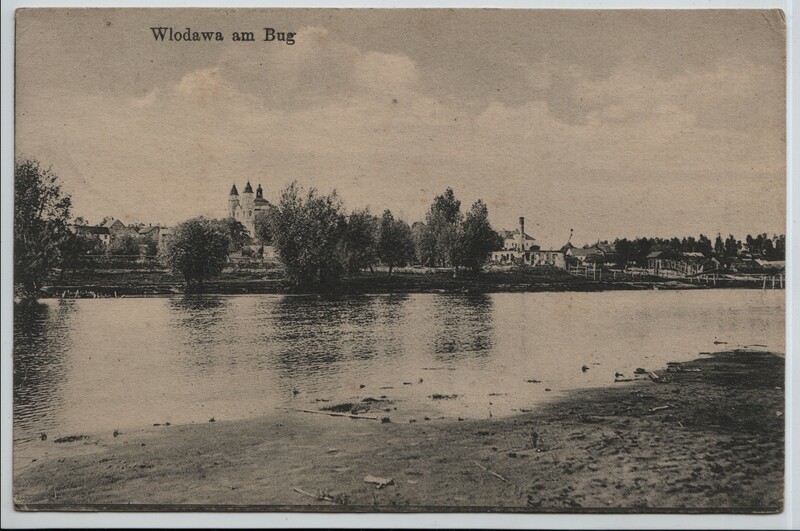 Postcard 20: Kowno (Kaunas) fortress was a key defensive position for the Russian army. 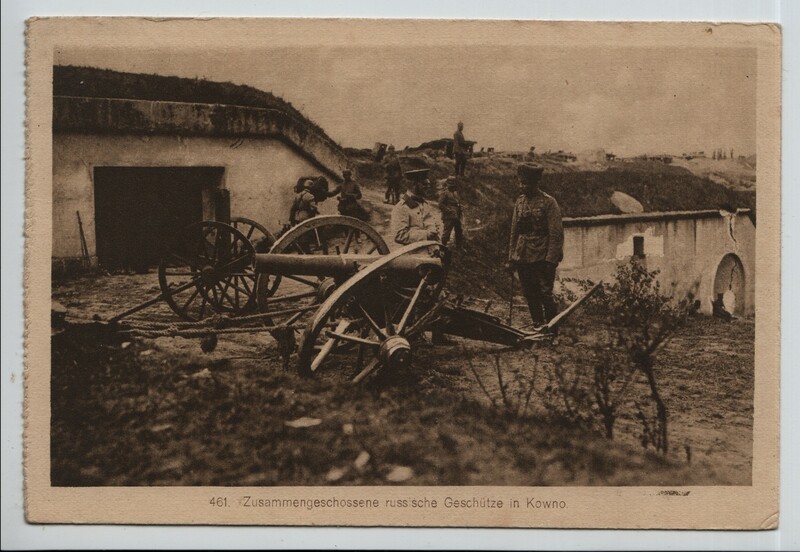 The Germans used seige guns including the Gamma-Gerat howitzer which fired shells of 1 tonne to demolish its fortifications within 11 days at the end of August 1915.